Onkyo TX-RZ1100 vs Yamaha RX-A3070BL review includes the comparison of output power, which TX-RZ1100 has more – 1150W versus 725W in Yamaha, as well as testing of sound and image processing technologies. 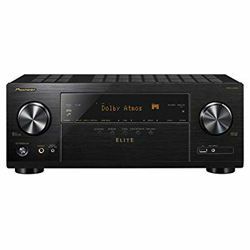 The Onkyo TX-RZ1100 is a powerful receiver, thanks to a Class D amplifier that can create great sound scenes with the latest DTS:X and Dolby Atmos decoders. The TX-RZ1100 uses the sophisticated architecture of high-power amplifiers to achieve the deepest and, at the same time, pure and dynamic sound. Yamaha RX-A3070BL has a really powerful amplifier that operates Hi-res audio up to 24-bit/192kHz and creates a large-scale and a surround sound with reduced noise levels, which significantly improves the dynamic range and clarity of sound. 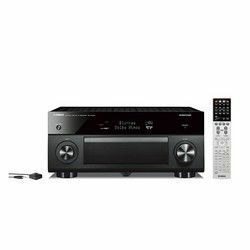 In this Yamaha RX-A3070BL vs Onkyo TX-RZ1100 comparison should be noticed that the receiver has a huge stock in low frequencies but also excellent detail due to support Dolby Atmos 3D sound and DTS:X. Both receivers have the ability to receive data from most music applications via AirPlay, Wi-Fi, and Bluetooth. 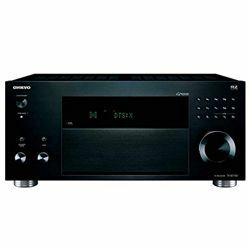 Onkyo TX-RZ1100 has a full-blown open circuit to enable external equipment in any 2-channel mode. The receiver can transmit sound to wireless speakers chain and due to the automatic configuration system, the connection does not take much time. Yamaha RX-A3070BL has multiple digital and analog inputs – including MM phono and balanced XLR. All HDMIs adhere to playing all Ultra HD 4K. Also, the receiver has the function upscale to 4K, significantly improves the image quality. The RX-A3070 is the large box that comes in either black or titanium finishes, with a neat aluminum front panel. The front panel has 2 large knobs and a display. All buttons are hidden under the panel in the center. TX-RZ1100 has more buttons on the front panel, which are located to the left and right of the screen. All elements are round with a concentric pattern on top. It has coolers to prevent overheating of components. The TX-RZ1100 has a new AccuReflex calibration system for multichannel and Stereo sound that is more accurate than the previous Audyssey MultEQ system. The FireConnect is available only after a firmware update. The receiver is really heavy (43 pounds). The receiver automatically detects the device, connected via HDMI. The TSR-7810 did really well with movies, it was clear and crisp sound. There is a delay in the streaming of music via Bluetooth. Auto Tuning YPAO does not work for the subwoofer, only manual setting.